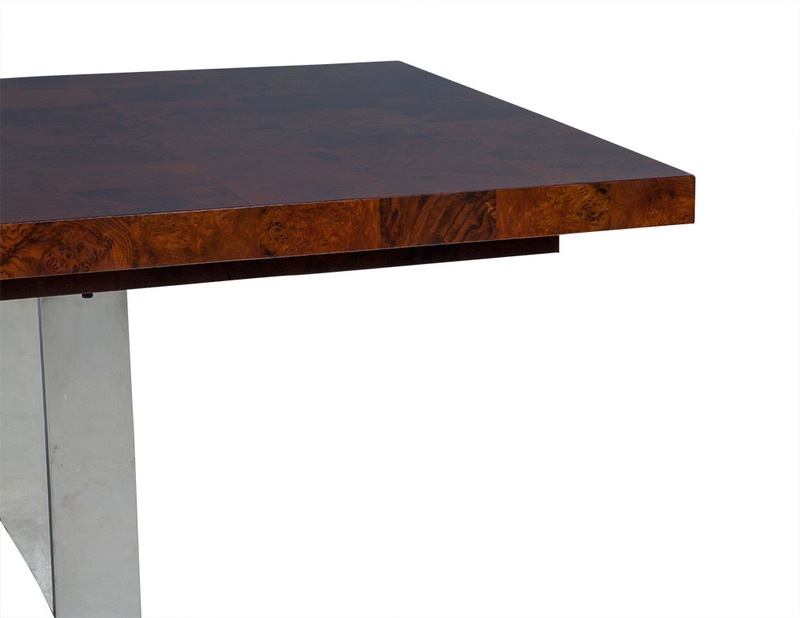 This contemporary dining table is absolutely splendid. 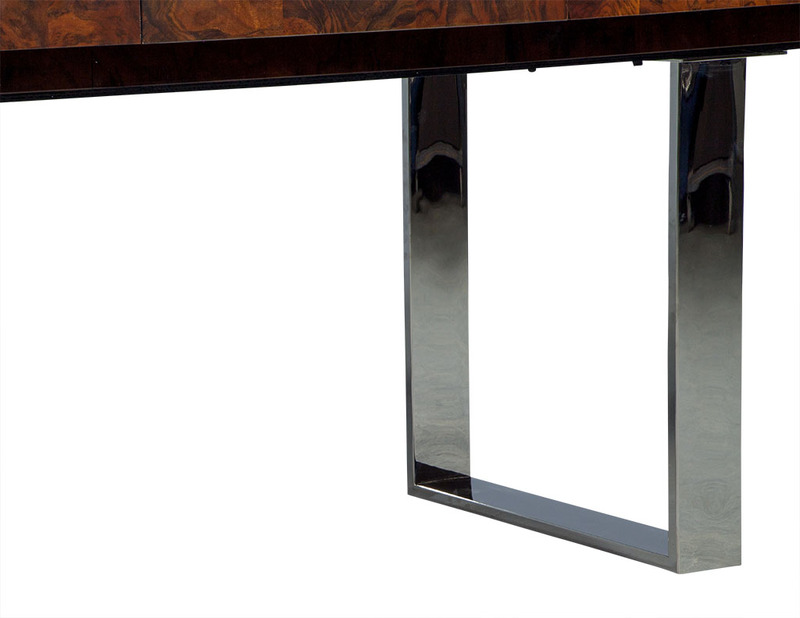 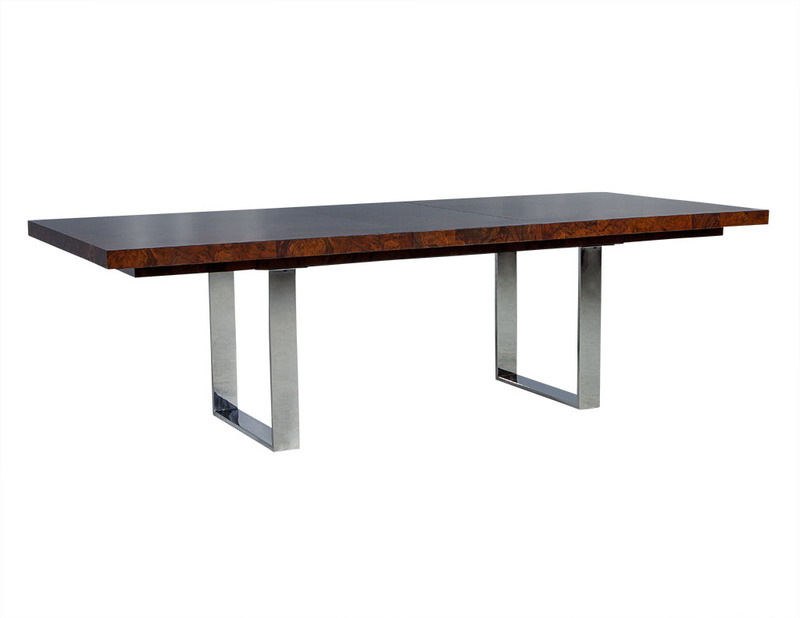 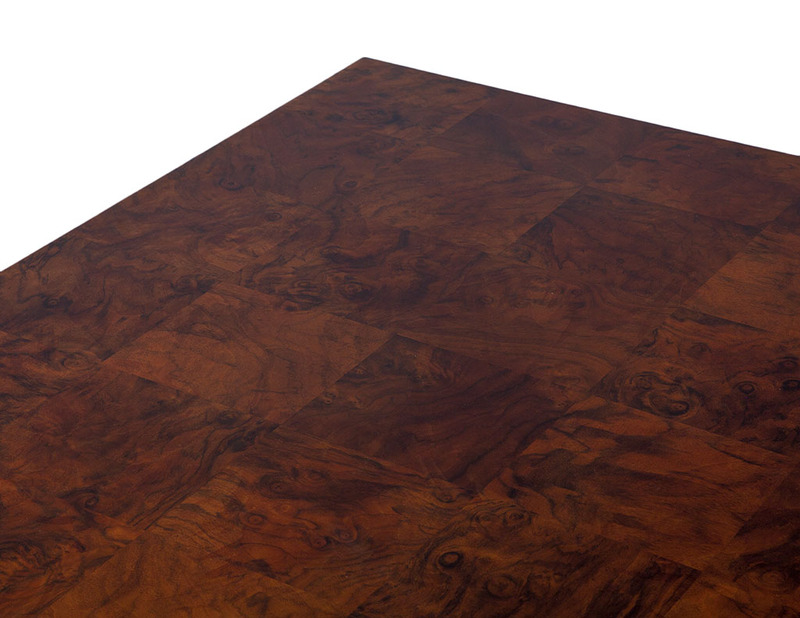 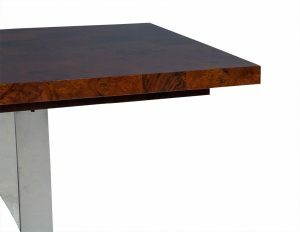 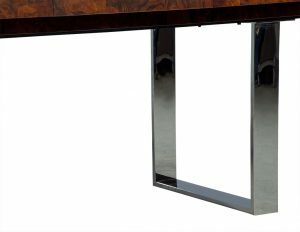 The burled walnut veneer top is finished in a high gloss polish and sits atop a stainless steel double pedestal. 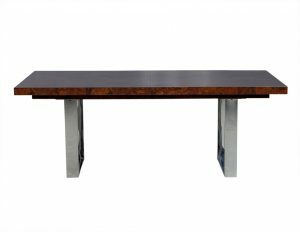 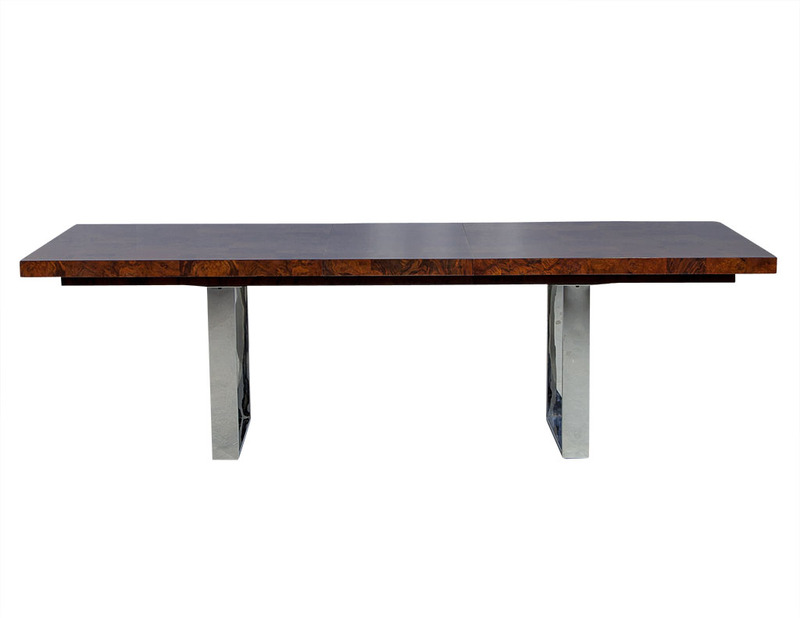 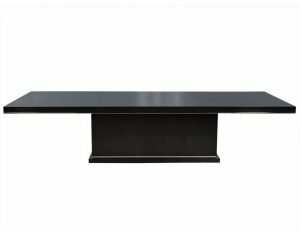 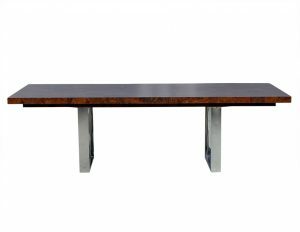 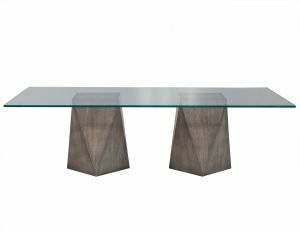 A gorgeous blend of modern accents and timeless beauty perfect for a daring dining room.